The telephone may not be the king in your business model today but it is definitely still in the royal family. So when it comes to upgrading your current phone system you have some big decisions to make. In years past your phone system lived in a closet, often a large, wire filled, somewhat intimidating closet. Today, there are still many viable, technology driven phone systems that live in the closet a.k.a a premise based solution. But you have other options. You could chose a compact, edgy desktop solution, also known as a cloud based phone solution or ‘Hosted’. Education on the benefits and potential challenges that come with both solutions will help you make the best decision for your business. Even though you may see some bias in my beginning paragraph, there are benefits to both. Let’s start with the Premise Based System. It’s familiar. The number one benefit to upgrading your current premise based system with another premise based system is from the end user perspective it will work in a very similar fashion. It is an technology asset. The capital investment for the premise based system will add value to your business. Now we will evaluate a Hosted Phone Solution. Cost, cost, cost. A Cloud Based Phone System does not require a large upfront capital expenditure. Scalability. Because the core of the system resides with your provider, you can add and remove phones easily as your business grows. Efficiency. For small businesses and large corporations alike, a cloud based phone system is a more efficient deployment of telephone service. It saves time managing the ‘system in the closet’. Also, software updates, directory changes and upgrades can be done on all devices simultaneously. We would love to discuss your business and customer needs and help determine which solution is best for you. 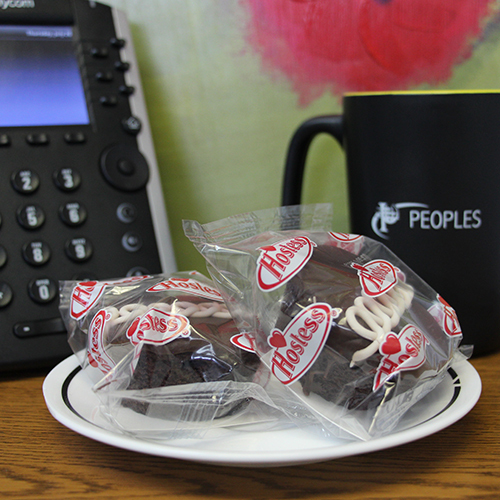 Let Peoples be your Hostess.